Summary: A short walk from New Road near Appletreewick Pasture to Skyreholme Beck. 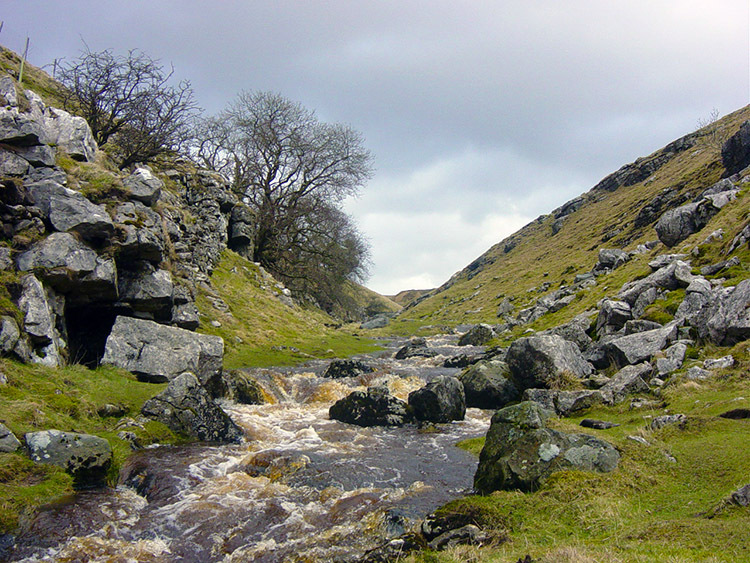 From the beck we follow it upstream though Troller's Gill which is usually dry, the water of the beck being underground. In the gill look out for a cave on the right hand bank before leaving the beck side to climb over Middle Hill back to the road and the starting point. 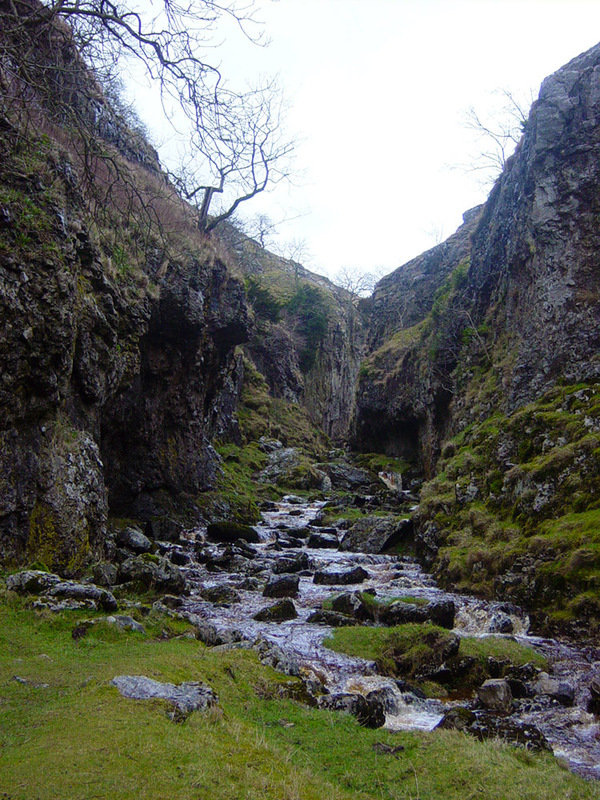 I had never seen Trollers Gill with water running through it. 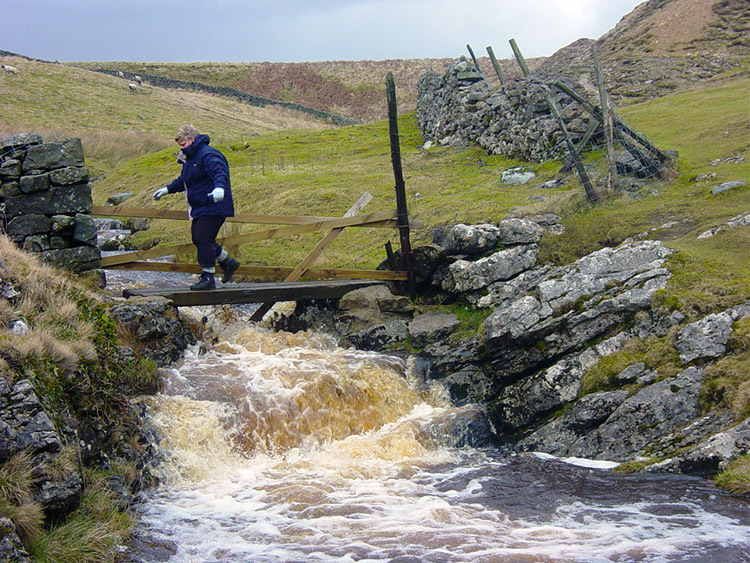 The water of Skyreholme Beck usually drops underground before the gill starts and resurfaces a distance past the other side. But not on the day I took brother Ray and his wife Karen to walk through it. 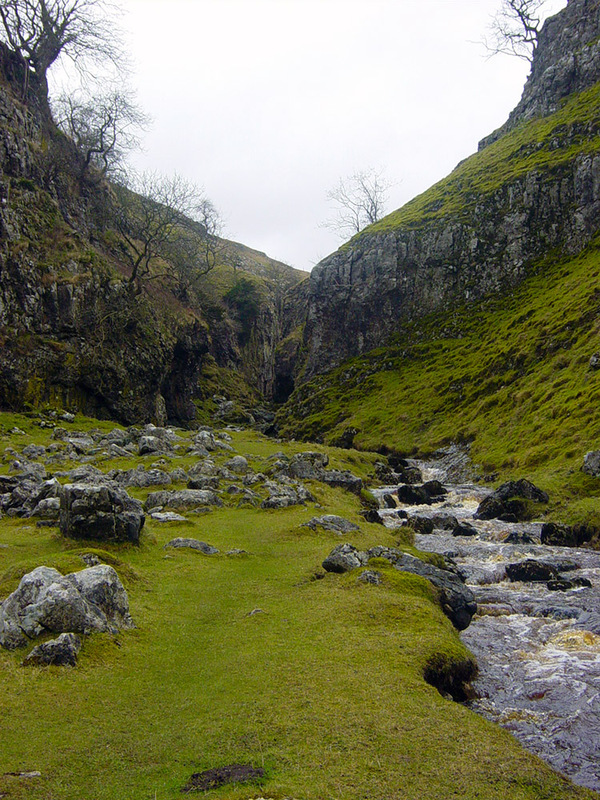 We had just walked the Strid in flood and they were eager for a little more so I had brought them here for a gentle walk through this impressive gorge. After walking down from our starting point on New Road we reached the mouth of the gill and I commented on the water gently running out of it. "Never seen that before, but it will be OK" "Are you sure?" Karen replied. My reply must have been reassuring for they followed me in as we used a stepping stone technique to walk up the gorge. 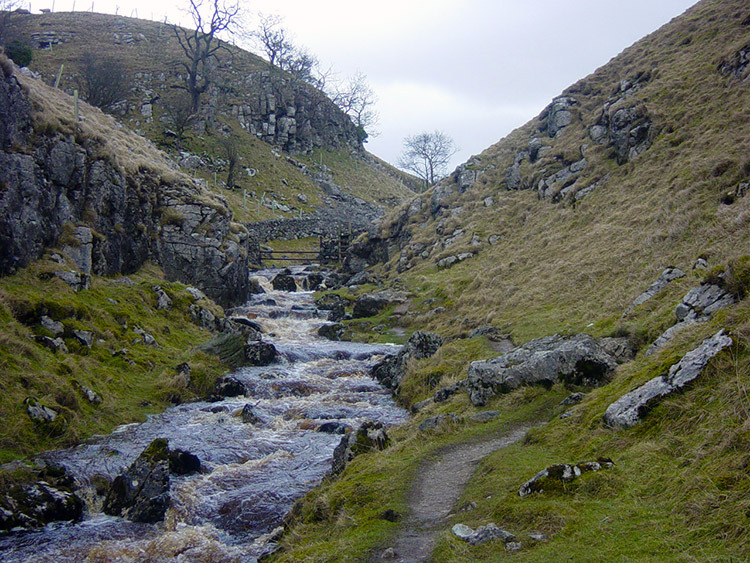 The water seemed to flow faster and deeper as we climbed our way up and through Trollers Gill but it was not easy. 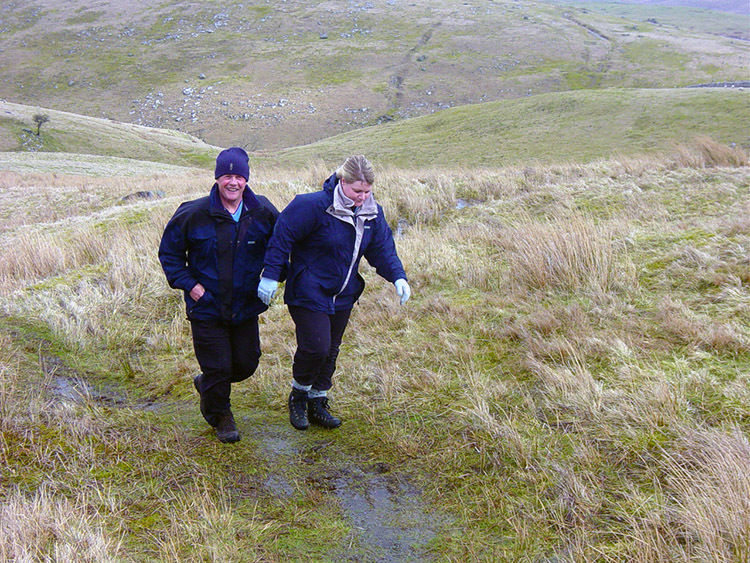 We had managed to stay dry but Karen was finding it more difficult that us. Yet I was still impressed by her sense of adventure. There was one spot though where she got stuck and despite Ray and I dropping in more stones for her to step on she could not move. Only one thing for it, I had to jump in the water. It as up to my knees but did not feel cold and we now got Karen safely through the tough sections. 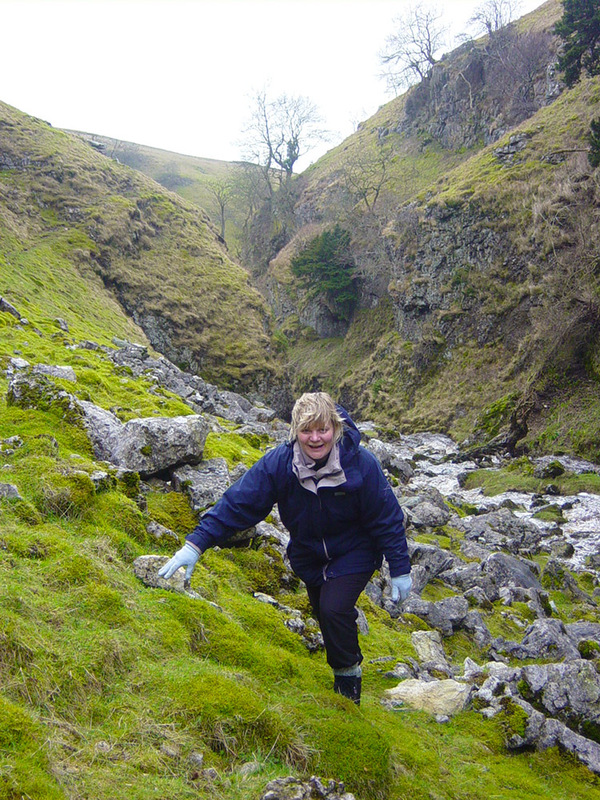 We then enjoyed this fun walk up the Gill as it opened out making walking much easier. 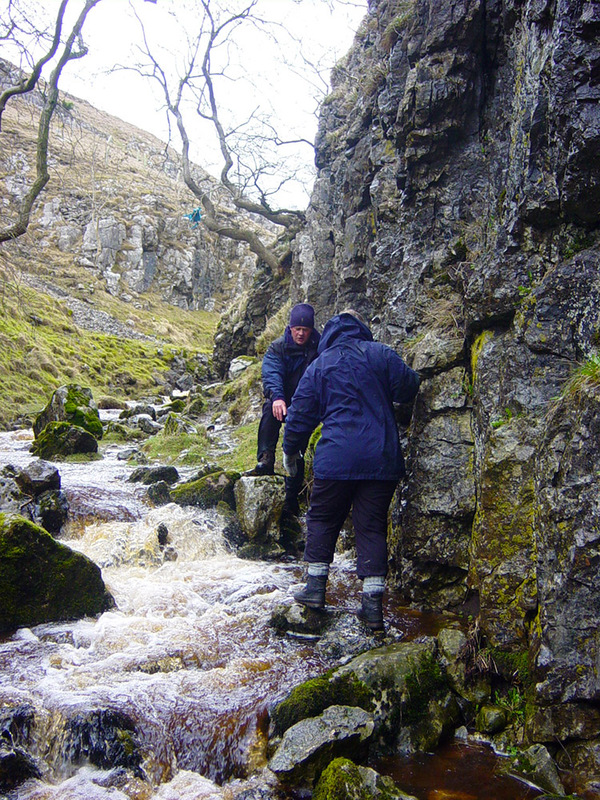 With this little excursion up Trollers Gill and the previous one up the Strid both Ray and Karen said they were well impressed with the days walking and the choices I had made. I look forward to more walks with them and hopefully in much better weather. Final note about the gill. I fell in love with the spot when I first walked it and even more so now after this adventure.